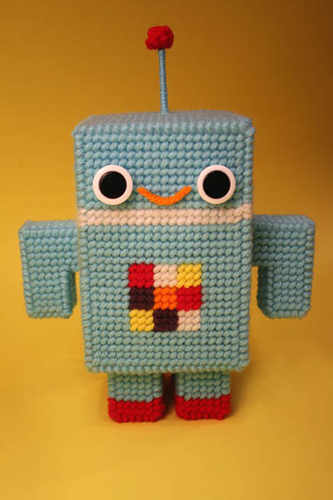 Miren que excelente creación en crochet, este simpatico amigurumi Robot! This entry was posted on 13 noviembre 2009 at 5:38 and is filed under Aliens y Robots, General. You can follow any responses to this entry through the RSS 2.0 feed. You can leave a response, or trackback from your own site. ORALEEE, QUE PADRE, TENDRAS LA FUENTE DE ESTE ROBOT, ALGUNA PAGINA DONDE PUEDA ENCONTRARLO? the robot is totaly cool!! how can i get the patterns? ?